Researchers have found a drug that's unexpectedly effective at reducing one's chances of dying from many common forms of cancer, in some cases lessening fatalities up to 60%. It's a small, long term daily dose of aspirin. 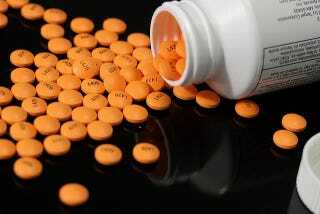 • After 5 years of daily aspirin, death due to gastrointestinal cancers decreased by 54%. They do demonstrate major new benefits that have not previously been factored into guideline recommendations...previous guidelines have rightly cautioned that in healthy middle-aged people, the small risk of bleeding on aspirin partly offsets the benefit from prevention of strokes and heart attacks...But the reductions in deaths due to several common cancers will now alter this balance for many people.